Looking for a delicious alternative to Ham for Easter Dinner?? This is what is on the menu at our house. A couple of years ago I saw Rachel Ray making Golden Bloom Chicken – which was the inspiration for this adaptation. My family loves these little bundles – Yes, they are a little time consuming, but worth the effort for a special dinner. Cut carrots and red pepper into thin strips about the width of a ballpoint pen and about 3-4 inches long. Trim asparagus to the same length. Steam or blanch the vegetables for 3 or 4 minutes (so they are still slightly crisp – the carrots will take a little longer than the peppers and asparagus). Immediately run cold water over them to halt cooking. Set aside. *If you are using 2 boneless skinless chicken breasts, you will need to slice each in half horizontally to make 4 cutlets. With a meat tenderizer, gently pound out each cutlet until it is thin and as even as possible. Cut each cutlet into 2 strips. Sprinkle each with salt and fresh ground pepper. 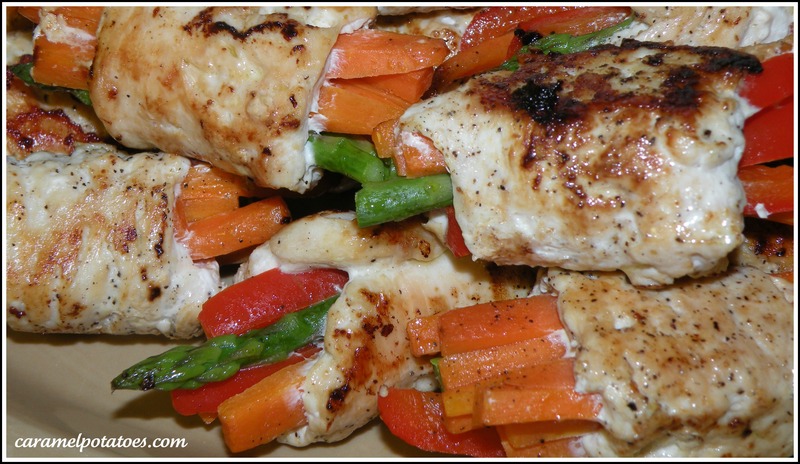 Lay the vegetables across the chicken (5 or 6 carrots strips, 3 or 4 peppers and 1-2 asparagus) and roll up. Secure with a toothpick. In a large nonstick skillet heat oil over medium heat, cook the bundles seam side down until brown, then turn until all sides are brown about 15-20 minutes. (Once the bundle seals you can remove the toothpicks) Remove chicken from pan. In the hot pan, add the chicken broth and deglaze the pan (take a rubber spatula and remove all the bits and pieces stuck the bottom – lots of good flavor there). Add the garlic and then the cream. Add the rosemary (if using fresh just add a sprig and let it flavor the sauce as it cooks, then remove before serving). Let it boil for a minute or two while stirring, then turn it down and let it simmer for about 5 minutes. 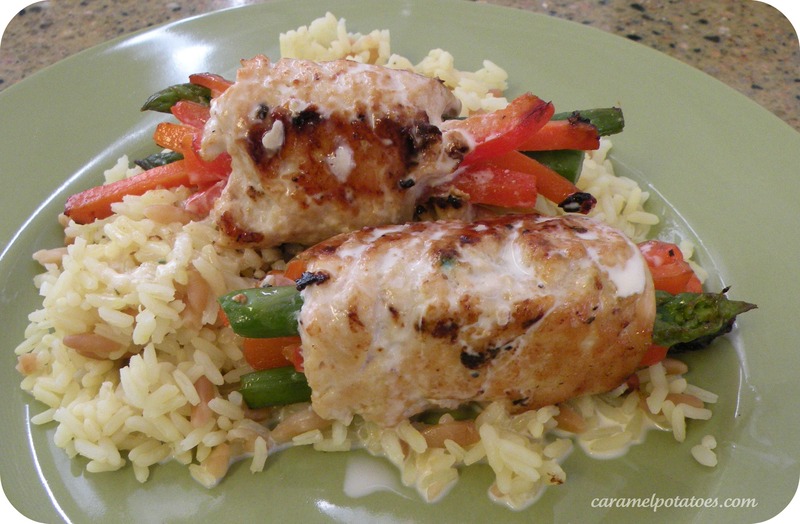 Serve the chicken bundles on a bed of rice pilaf and spoon sauce over the top. Jocelyn made these for us on Easter, and they were super good. 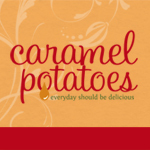 I’m totally going to be checking this blog for now on…that way I won’t have to keep bugging you for different recipes!